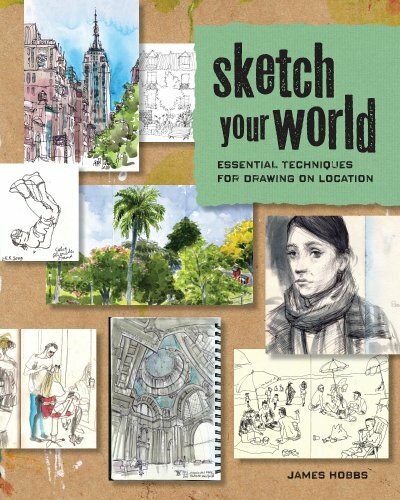 Sketching Your World is a book of sketching tips and techniques from London-based artist, journalist and Urban Sketcher James Hobbs. This book is focused on outdoor sketching, location sketching or even urban sketching as it's becoming popularly known. There are 176 pages with 12 chapters. Each chapter has several topics with each around two pages. This book is essentially a bundle of tips really, with some techniques mentioned but not really technical. So it's an easy breezy read. You'll get the most out of it if you already know some basics to drawing. The book talks about the various aspects of location sketching. It covers things like dealing with onlookers, training your observational skills, provides examples of places where you can draw and how you should approach drawing them, talks about reportage drawing, using digital tools for sketching, and getting active online to either share your work or check out other urban sketchers. Several artist profiles are featured as well. Each topic is rather brief but there are some interesting ideas and suggestions to work on from reading the tips. The illustrated examples are nice, nothing too overwhelming or anything that you cannot achieve. It's interesting to look at styles of different artists and how they translate the scenes they see onto paper. 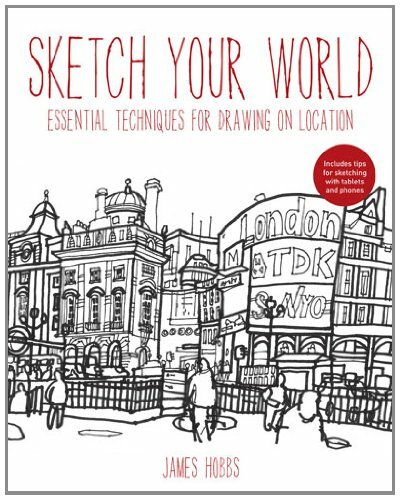 I'll recommend the book to those who like sketching and who are starting to explore location drawing. There are a few publishers for this book, namely Page One (Asia), North Light Books (US) and Apple Press (UK). The covers are all different. The UK book pricing at the time of this writing is cheaper, so I would recommend getting the UK edition from Book Depository if you want to save some money. Other books on urban sketching that you should also check out are The Art of Urban Sketching, An Illustrated Journey, Freehand Drawing and Discovery by James Richard and Sketching on Location by Matthew Brehm. This is the UK version cover. This is the USA version cover. And the cover of my copy that you see right at the top of the review is the Asia version.